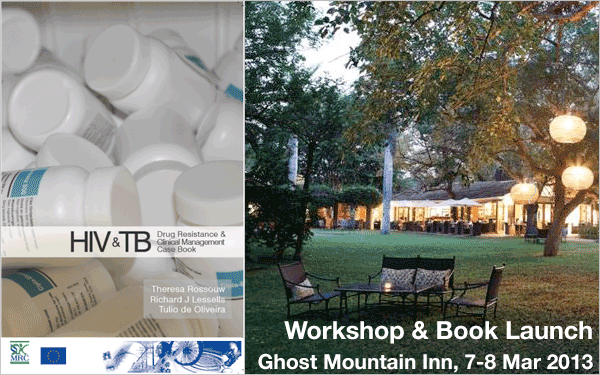 Participants will develop understanding of HIV and TB drug resistance and will learn how to apply that knowledge to the management of individual patients and to the prevention and management of drug resistance at programmatic level. The workshop will combine theoretical and case-based learning. It is aimed at doctors, nurses and pharmacists, particularly those taking a key role in the delivery of HIV and TB treatment and care in their sub-district. The event will also be accompanied by the launch of a new book HIV&TB Drug Resistance and Clinical Management Case Book. Lunch & tea/coffee will be provided each day. Accommodation can be provided if required.